This is one of two portraits commissioned by a client in Ireland. 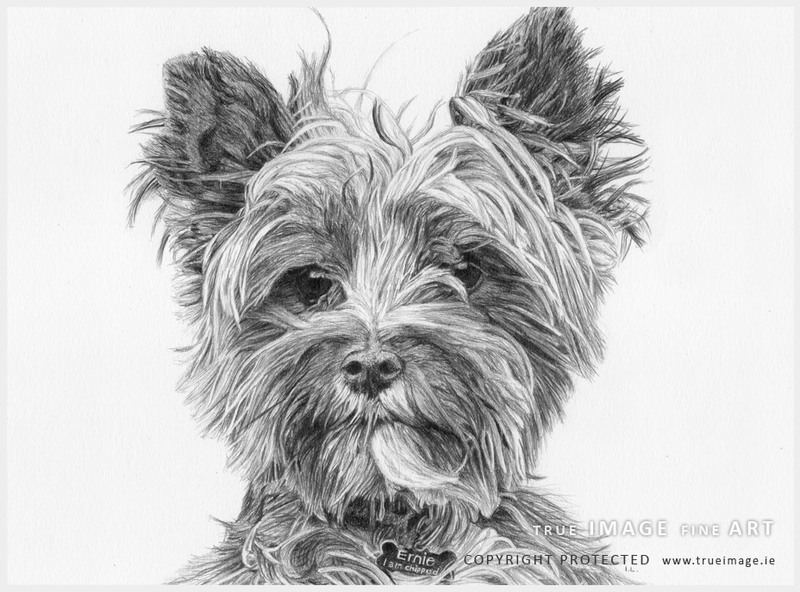 The terrier's name is Ernie and together with Bert's portrait, these two drawings were a birthday gift for the client's sister. Both drawings were 25 x 20cm (10" x 8") drawn with graphite pencils on Fabriano paper. 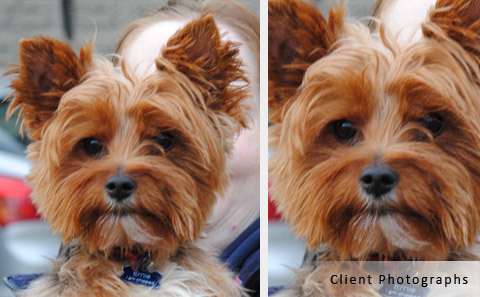 As with Bert's photo, Ernie's reference photograph was very detailed. There were no changes needed to the composition except of removing the background altogether. The dogs' name tags were kept in the drawings which made them that much more personal. The client was very happy with the result and you can read her feedback below.